University of Virginia student Shannon Crawford gets a kick out of her runDisney Princess Half Marathon victory. The former soccer player from Bronxville, NY notched first half marathon title while more than 24,000 mostly-women runners participated in 13.1-mile race through Walt Disney World Resort. Continue reading for more photos and details from runDisney’s press release. If soccer had any chance of staying near and dear to Shannon Crawford’s heart, those hopes likely disappeared in a cloud of pixie dust Sunday at the runDisney Princess Half Marathon presented by Children’s Miracle Network Hospitals. An avid soccer player since her childhood days in suburban New York City, the University of Virginia senior recently took up distance running and, in just her third 13.1-mile race ever, she won the popular Disney Princess Half Marathon title at Walt Disney World Resort. To Crawford, who isn’t even on her school’s cross country team, it was…well, magical. Crawford, 21, easily won the race through Magic Kingdom and Epcot, covering the entertainment-filled course in 1:24:49. That was nearly two minutes ahead of second-place finisher Brooke Adams of Randolph, New York (1:26:10). Heather Schulz of Orlando, Florida was third (1:27:06). Needless to say, after winning her first half marathon, Crawford is totally hooked on running. As for soccer’s place in her life, it’s in a deeper slumber than Sleeping Beauty. The Princess Half Marathon capped the four-day race weekend that featured various races and events all geared toward women, including the Disney Princess 5K, the Disney Princess Enchanted 10K, runDisney Kids Races and the Glass Slipper Challenge, which involved runners completing the 10K on Saturday and the half marathon on Sunday. In all, more than 44,000 mostly-women runners participated. The weekend event also included a health and fitness expo which featured the latest running apparel and equipment, plus a speaker series involving running experts such as runDisney’s official training consultant Jeff Galloway. 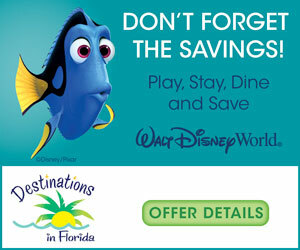 And there were several family-oriented events such as the Disney Princess Half Marathon Weekend Breakfast, the Pasta in the Park Party and the Happily Ever After Party. 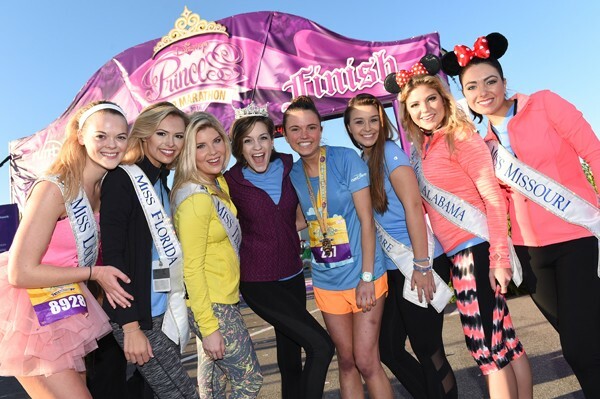 The Disney Princess Half Marathon Weekend is one of nine annual runDisney events and one of two women-focused events taking place in 2016. 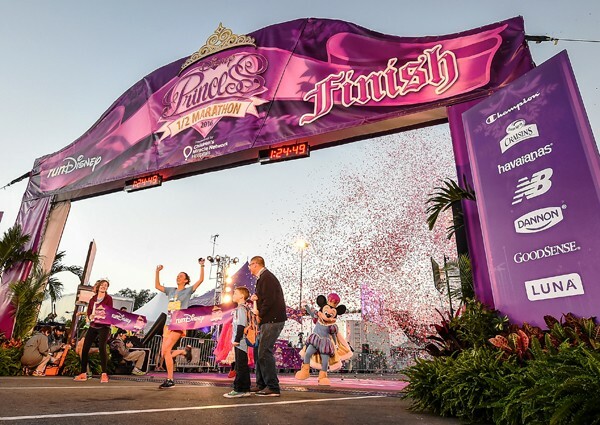 The other women-focused event is the Tinker Bell Half Marathon Weekend presented by PANDORA Jewelry, which takes place in May at Disneyland Resort in Anaheim, California. Both events are designed to celebrate and promote women’s empowerment, women’s health and an active lifestyle. And both are among the nation’s largest race weekends geared towards women. For more running adventures, be sure to follow Adventures by Daddy on twitter and “like” our facebook page too.